floppy as a gift bag, this might be a good alternative..?! step with you, so bare with me! There you go!! interfacing like Pellon 809 Decor Bond. 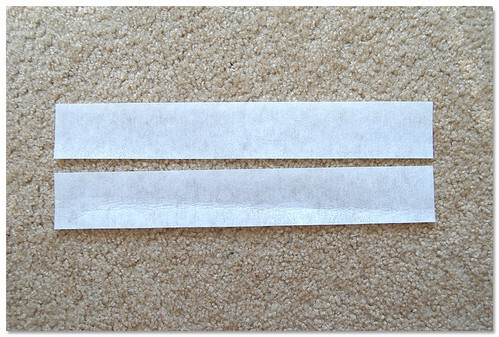 1/4" seam allowances unless otherwise noted. left over to get two pieces. Improvising works! 17 1/2" x 12 1/2" here. of the outer bag piece. 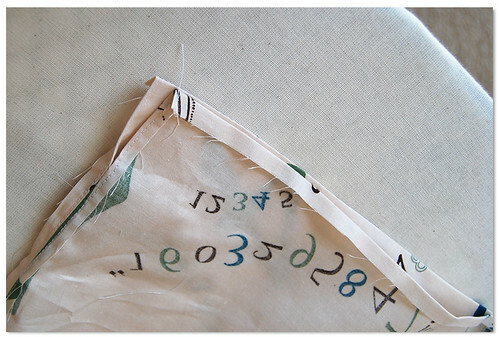 together and sew these two short edges. where it's 5" from one side to the other. basket? This time we can omit the step! Now let's move onto the handles. 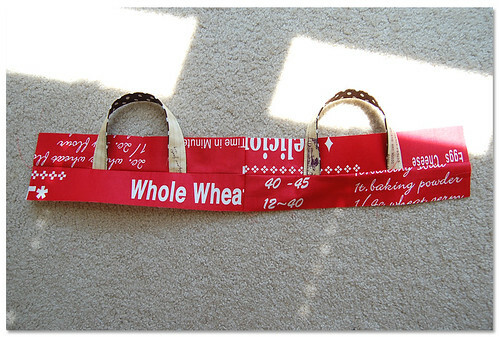 made for your fabric basket, except..
measures 12" x 1 3/4". 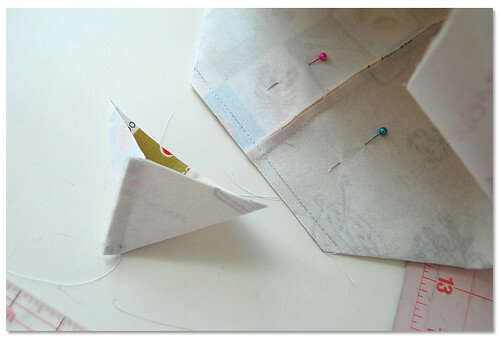 fold in half, and top-stitch the long edges. so you'll have two handles. 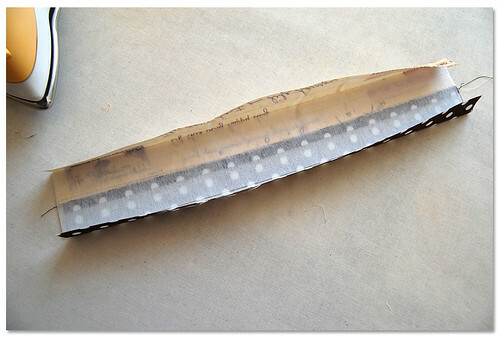 measures 12" x 2 1/4". pieces of the rim like this. edge. Do this from the other side too. pieces together with right sides together. create the other side of the rim! together to create this loopy thing. Top stitch the top edge. edge will save you some time later on. Aha! Now we have the rim + handles complete! Lastly, let's make the cover. leave 2" unsewn at the top like this. cover piece will be left unfinished in the lunch bag. from the top to the bottom. 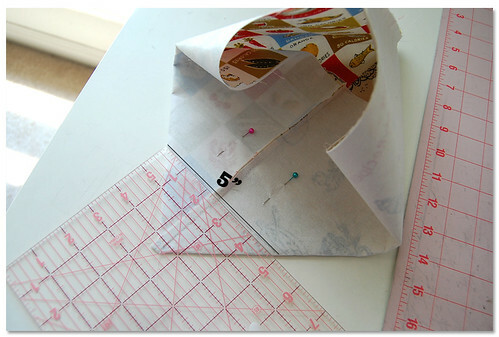 Then we will fold and press where it's 1/4"
3/4" from the top edge. so that you have a casing for the cord. outer bag with wrong sides together. Sew very close to the top edge. 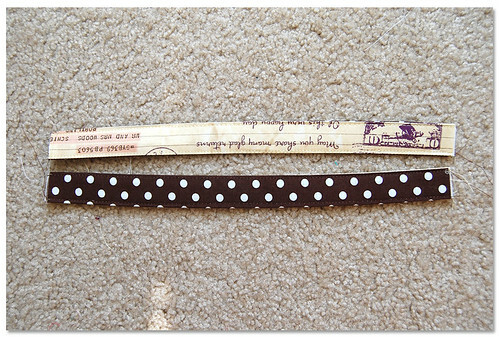 sewing a bing tape at the top edge, huh? because that's what I started off with. sewing very close to the edge again. Now we'll sew the cover onto the main bag. it's 1/4" from the edge. Everything is connected at the top edge now. 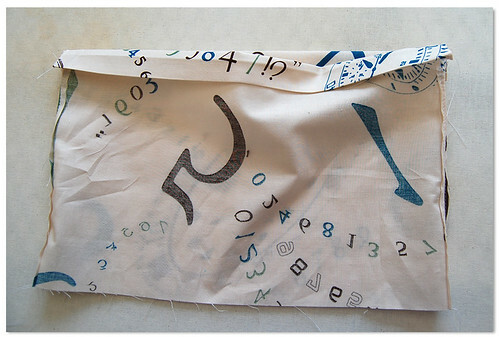 the cover inside the bag. Fun! 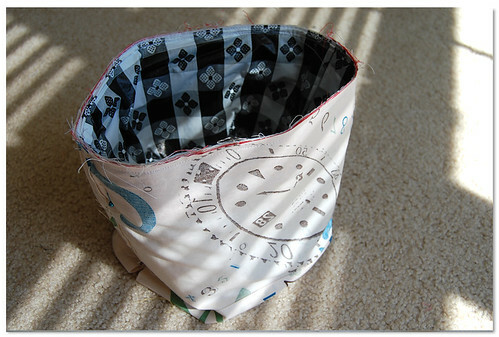 Top-stitch here between the rim and the bag. the raw edges will be completely encased under this top stitching. Therefore, you'll have no exposed raw edges below the cover inside. 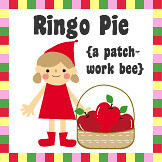 you did for the patchwork drawstring bag! Your lunch bag is complete!! oh ayumi that is so precious! I can't wait to make one! What a great bag for lunches as well as just about anything else! What a fantastic tutorial! I'm thinking Christmas gifts! THANKS! YES YES YES! You have made me a happy happy girl! I think your tutorials rock...they are so very easy to follow. Thank you so much for doing this! great tut!! I love it and I will for sure make one of this. Thanks for sharing!! Lovely! Thanks for creating this tutorial! I love that! I really like the drawstring to to tuck away the contents of the bag. Thank you so much for sharing this awesome tutorial! 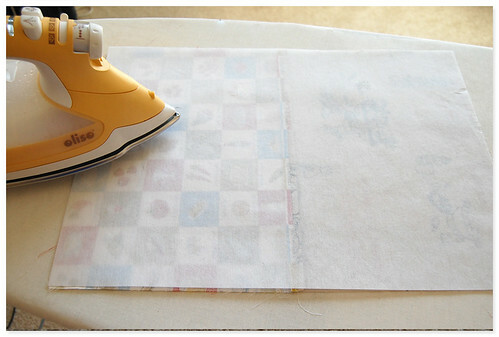 On another note: how do you like that Oliso iron?! I have been on a quest lately for a great iron and checked into the one you have a bit but can't seem to decide whether it's worth the extra money. Do you love it? Please email me if you wouldn't mind! I would love to hear your feedback on it. Pretty please!! Thanks for this tutorial! Love it! Your blog is amazing! 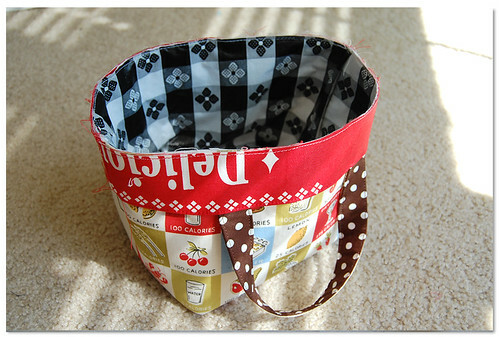 Hi Ayumi, I love your lunch bag - it looks so wonderful!! And I have just bought it from your Etsy shop. Thank you so much for creating such beautiful work!!! Thank you!! This is exactly what I need to make for my daughter's lunches this year! Wow. You are a rock star. Just brilliant tutorial. THANKYOU THANKYOU. This is simply amazing. I am a teacher and I will be carrying one of these on the first day of school! Thank you so much for another beautifully illustrated tutorial. This is exactly the type of lunch bag I have been looking for!! This is such a great lunch bag!!! Thanks so much for sharing your tutorial. Oh thank you so much for your nice comments everyone! The best part of making a tutorial for me is to discover someone actually enjoys making something using my tutorials! 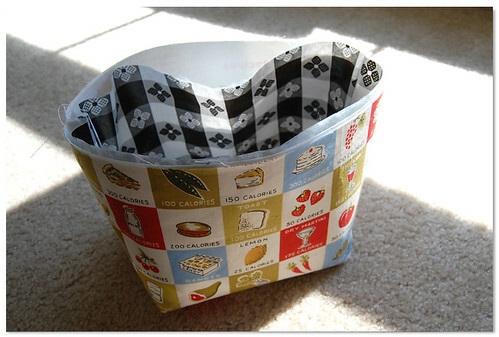 I really hope to see your lunch bags in this flickr group! Wow, what a great tut, thx a lot for this one. just GREAT! 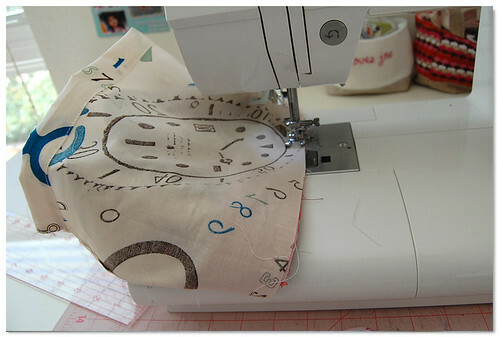 can't wait to find the time to pull my machine and start sewing! Oh wow, Ayumi! Thanks for this great tutorial. I have just the fabric I want to use for my 'lunch bag' which will probably end up being my crochet bag (crochet wool and work currently housed in a plastic bag!). arrg! I just caved and bought a lunch bag last week something like this. I think I'll still make one though. Awesome tutorial. so easy to follow. That is one fantastic bag! Thank you so much! I'm gonna have to make one of these for my knitting!! Thanks for sharing the tutorial! Hi, Ayumi. Thank you for writing a turtorial. I will make one for my husband and I may make one for me because it looks nice for carrying some crafty goods as you said. Good job!! Can't wait to make one! Thanks for the tutorial! This is sooo cute Ayumi! Thanks so much for sharing!!! Thanks for another great tutorial! Thanks for your kind comments on my blog. Your tutorial on the fabric basket made it happen. Ooh that's so pretty! Thanks so much for the how-to, I'll be linking. YEAH!!! You made it to One Pretty Thing! You are such a rock star with a bento! I can't wait to try this....Thanks! 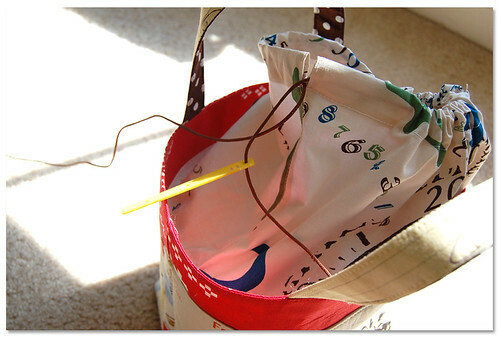 Wonderful tutorial - it's the perfect size for a knitting bag. And I think that I forsee myself making some of these for teacher gifts this year. I made one for a swap, using my swapee's favourite colour (green) and her favourite fairy tale themed fabric (Cinderella). Thank you! Great tutorial ! Thanks for sharing ! Fabulous Tutorial! 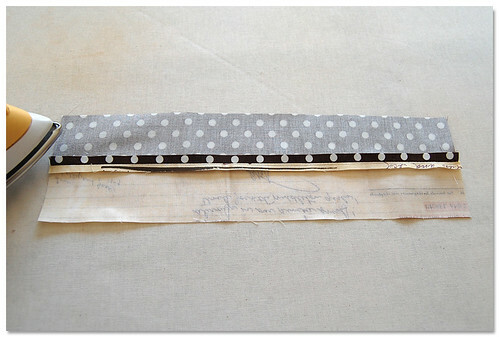 As always your fabric choices are so wonderful...Perfect for the project. Thanks for your generous sharing. I love your tutorials! 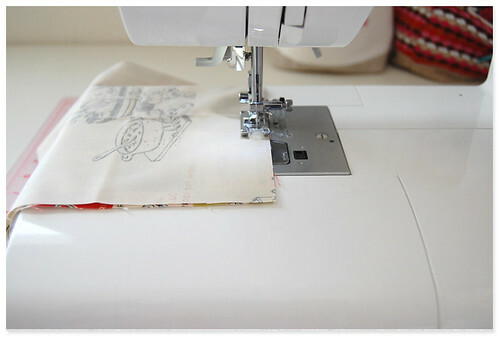 They are so detailed for those of us who don't have all the skills, but like to try our hands at sewing. I wondered if you ever used insulbrite? I have used it for potholders and also water bottle holders. This would work well to keep things cold. Something to ponder... Can't wait to find time to try this project! 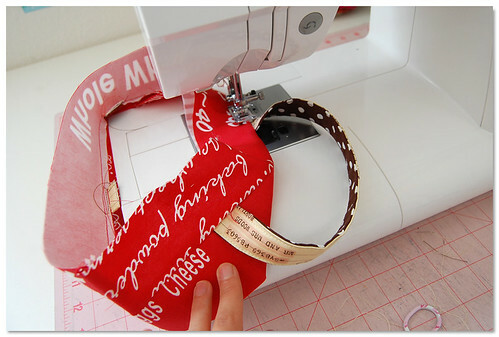 I LOVE your tutorials and please you to make one for the zipper pouch. Thanks a lot!!! Thanks for the tutorial. I got mine made. I posted it on my blog with a link back to you. I will post it on the Flicker photo stream also. Thanks for the tutorial!!! 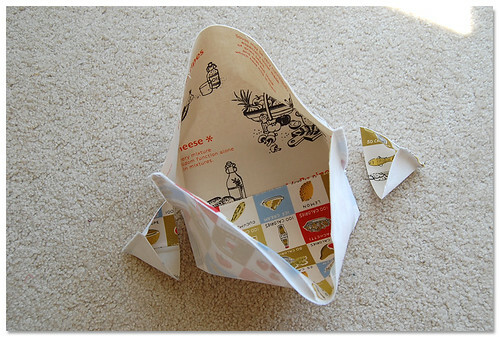 I've been looking for lunch bag tutorial for a while, and found this one!! :) Thanks for sharing this! Thank you for the great tutorial! I think I would like to make it with insulbrite...when I have time. I love your tutorials! They are so easy to understand. Thanks for sharing! Thanks for the great tutorial...this is exactly what I have been looking for. 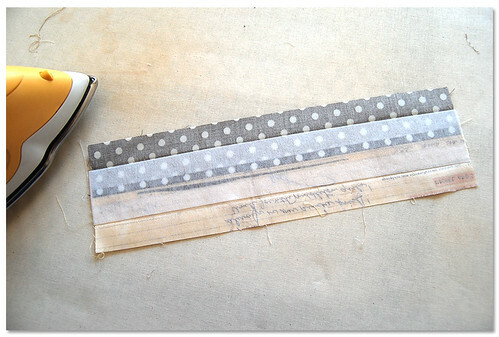 One quick question though...when boxing the corners...do you sew on the line that you draw and then cut off the excess? Or is the line to be lined up with the presser foot? Sorry if this sounds dumb! the 'rim and handles' bit is brilliant ! Thank you for the tutorial. Beatrice. Thank you for the tutorial. I am linking your tutorial on my blog today to send more visitors your way! What a super cute project!! Thanks for the detailed tutorial...just found your blog, and I love it! I'm a new follower!!! 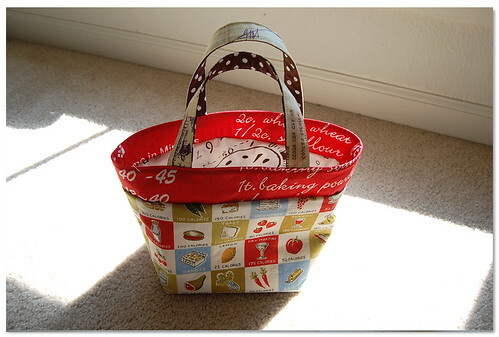 This lunch bag is adorable and I hope to make a bunch as Christmas gifts. 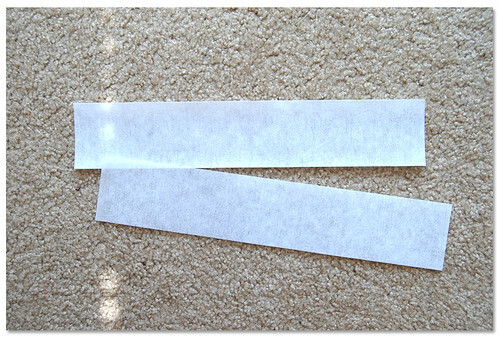 One question though...have you ever tried using PUL inside the bag instead of a laminated vinyl? Do you think PUL would work, maybe if I add interfacing to the back to make it sturdier? I have a bunch of it from making cloth diapers and am trying to bust my stash for Christmas gifts! Any help is appreciated! Thanks! I just finished my lunch bag!!! I love it! And...it was the very first photo that I have ever uploaded to flickr! Thanks for this tutorial - it's a lovely little bag, and I have just made one - I used cotton batting in place of the interfacing, and quilted it. I also had to find out what a bento box is as here in Scotland we use sandwich boxes and refer to them as "piece boxes"!Thanks again. I can't wait to try this one! I finally found a way to enjoy sewing. 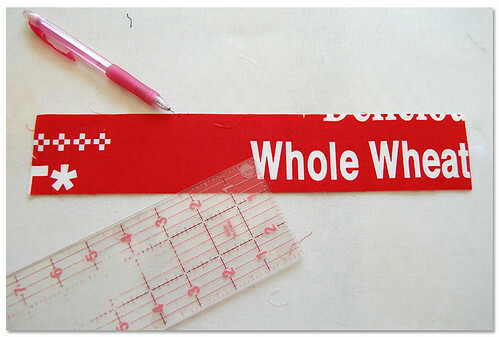 BTW, where do you get your fabric with the wording on it? I love the look of it! Thank you! 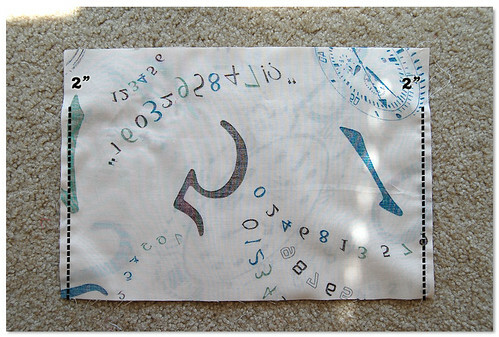 There are a lot of fabrics with writings on them in the American market. 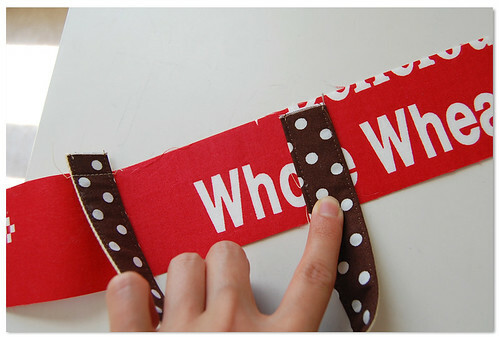 If you search 'word fabric' in etsy.com, you'll find lots of them ;) I usually get mine from a Japanese online shop like the shops listed in the right side but a lot of Japanese fabrics with writing can be seen in Etsy now ;) Hope this helps! Hi Ayumi. I'm Sunny, from Italy. Great work and outstanding creativity! Thanks for another great tutorial! This is a great bag! I love how the cover has a drawstring instead of a zipper like the tote bag I make with the zippered extension. Makes it much easier to make, but still easy to use. 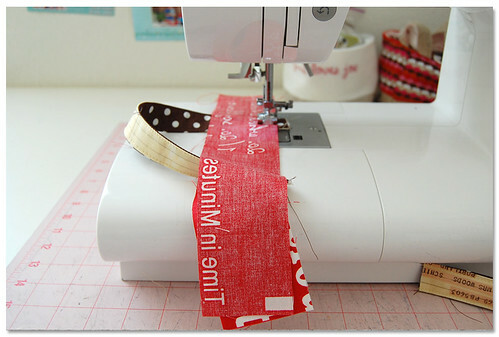 I'm going to use your tutorial to make my bag for the Halloween Tote Bag Swap that I joined. Already picked out my fabrics! Thanks so much! Thanx from Bulgaria too for the wonderful tutorial! How cute is that! I love that the bag has an inner bag you can closed. I will be having a go at making one of these bags. Thank you. I cant believe how easy you made this. thanks for everything you are the best for tutorials ! Thanks for this wonderful tutorial. I started making my own already. I am so sad that I am so behind in discovering this lovely place! 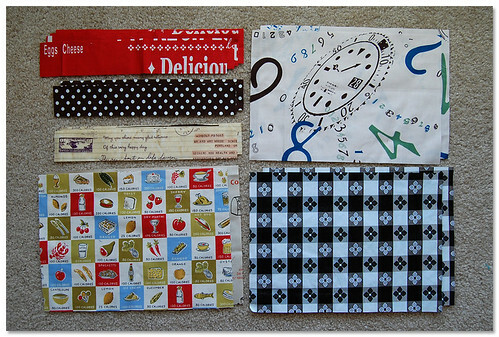 I'm so excited to make the lunch bag, for ME! Also pumped to look through your archives! 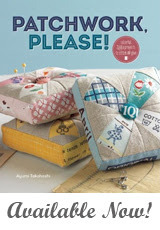 I really must make one of these Ayumi! I saw one on Anna's blog and fell in love. Thank-you for the great tutorial! 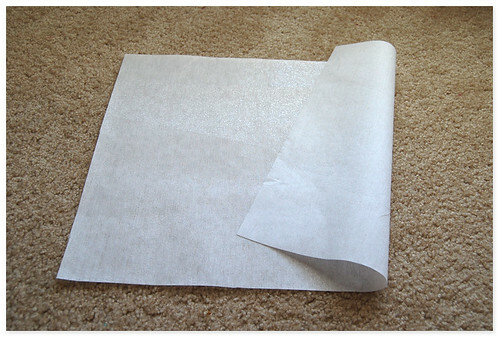 *I used one of those wipe-clean vinyl tablecloths i picked up at for only 5 bucks at walmart for my lining. it worked perfectly! Maravilhoso esse tutorial! Deus lhe dê em dobro!!! Felicidades e muito sucesso sempre!!!!! Faço artes com tecido e feltro, patchwork básico, pinto e bordo. Amei o seu blog! Nota 10!!! Deus lhe abençoe, proteja e ilumine sua vida e sua arte em todos os momentos de sua vida!!!!!!! It´s super cute! I must make one soon! Thank you soooo much for the tutorial! i have been so excited to try this lunch bag. so i made one based exactly on your tutorial. and i should thank you for willing to share this tutorial. i'm happy with the result. thank u so so much!!!!!! Great project and tutorial! I am definitely going to make one of these for my oldest daughter who has been taking her lunch to work in one of my cloth shopping bags. She will love this! I featured this over at Today's Top 20!! 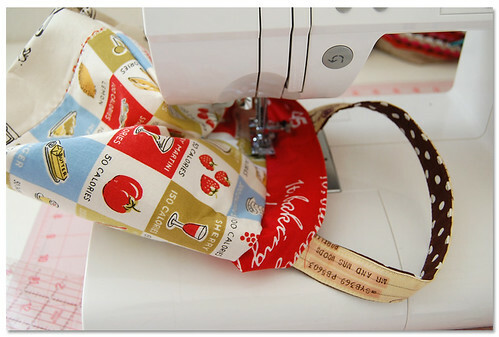 Currently, I have hanging over my sewing area a vintage handkerchief from my great grandma that is the EXACT fabric you used for the outside that is the food with calories on it. I have it hanging, hoping for inspiration. I want to do something cool with it. Is yours vintage or did you find it new? Can't believe it! 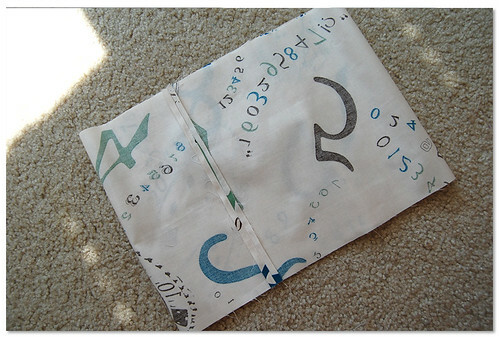 I just made a lunch bag using your tutorial and it looks so great! Thank you so much! My daughter loves it. She started school now and needed a lunch bag to carry her little bento box! 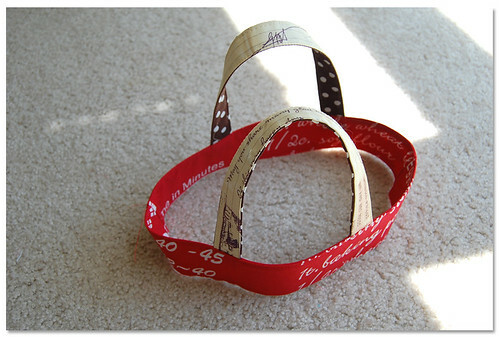 how do i make this larger for a purse or small tote. love the lunch bag!!! Fantástica sua descrição da construção dessa bolsa, muito obrigada por ajudar para uma net colaborativa e participativa, cada dia encontro mais motivos para acreditar que o nosso mundo pode ser melhor, só depende de cada um de nós. Este tutorial es fantastico, me encanta. I love this bag. This is the first thing I have ever sewn besides quilting. 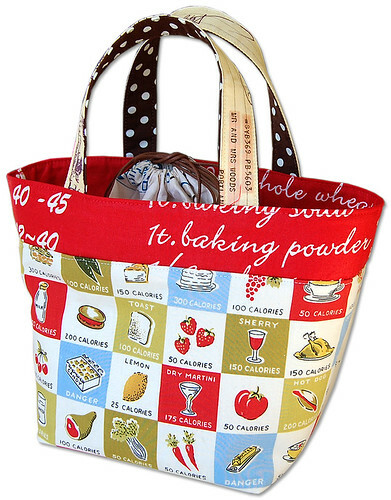 It's a great little gift tote for holidays and special occasions. Your tutorial was AMAZINGLY clear and concise. Thank you so much. 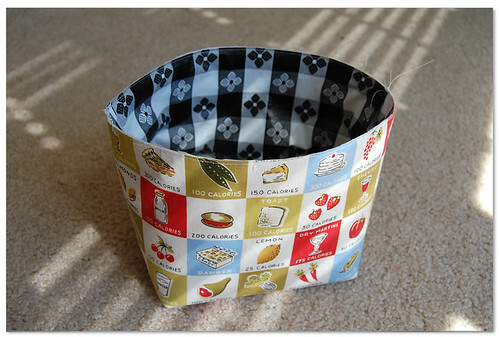 Arigatao Ayumi, your tutorial is so clear I can imagine myself sewing this adorable lunch bag already. thank you again. terima kasih. Thank you for this Tutorial! There are my first step in sewing, and i am proud! Thank you so much everyone!! 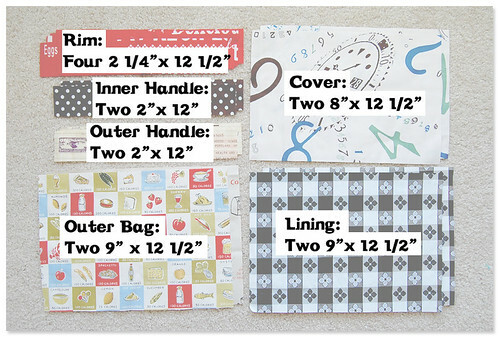 Yes, I used only one type of interfacing this project, so those two are the same ;) Good luck on whipping up a lunch bag for your friend! This is simply beautiful. Thank you very much for sharing. I hope you don't mind that I linked you in my blog. I love this! I can't wait to make one or two or more. These would be great gifts for co-workers that bring their lunches to work. Thank you so much for this tutorial! Your instructions and photos leave nothing to chance. I can't wait to get started. Thank you again for taking the time to share this with us. Thank you. A very good workshop. In my bag. 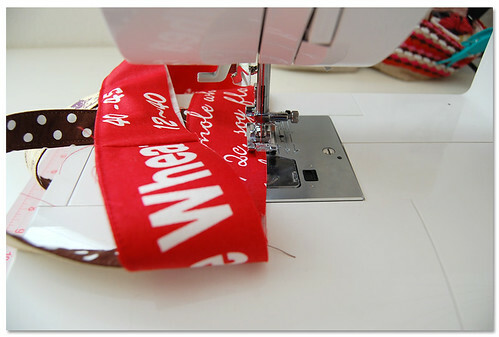 haaaaaaaaaaaaaaaaaaaaaaaaaaaaaaaaaaaaaaaaaaaaaaaaaaaaaaaaaaaaaa this tutorial is fantastic, I'll send you the photo of my bag. I'm finally making one of these tonight, Ayumi! It's been on my "gotta make" list for to long. Thanks for the tutorial! 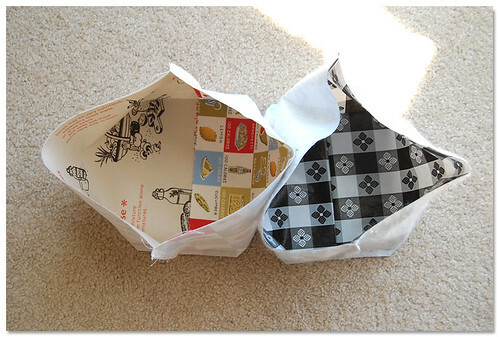 I made a bag from this tutorial, I really liked and want to see the result here http://docinhoalgodao.blogspot.com/2011/12/bolsa.html. I am Portuguese know this country? Thank you for sharing your ideas! Beautiful bag! On my list for gifts next year! Excelente la enseñanza para realizar este Bolso. Feliz Navidad y Prospero Año 2012. Con Gran Cariño desde Venezuela. Would like to tell everyone that you don't need to be a sewing genius to make this! It was so easy and fun to make! Thank you Ayumills! Just saw this bag on Happy Zombie & came immediately to you. I love it & can't wait to sew one. Thank you so much. You really have the best & clearest tutorials. I just love this bag and after seeing it at Happy Zombie, I had to find you. Wow! I definitely want to make this lunch bag for my kids....Thanks! You do the MOST AMAZING tutorials!! 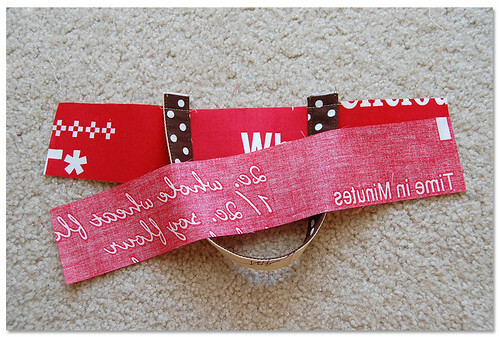 I made the wristlet and now this looks awesome!! Can't wait to make it!! THANK YOU!! Thank You so much! Easy directions...my first bag and I was nervous, but it came out perfect and cute as can be. My granddaughter will love it. Thank You! Thanks for the great tutorial. I had a pack of fat quarters which worked out great for this project. I wanted to make the handles a little longer and I used fabric scraps for the drawstring. Greetings from Portland, Oregon! I just got sent here today by Daisy Cottage Quilting, and I immediately subscribed. I love your tutorial style!! I'm looking forward to reading your blog from one end to the other, and seeing what you have in store for the future. Thank you!! excellent tutorial - love the pics/instructions! You did a great job and I appreciate the details! Will try this project! Great tutorial I love this so much and I can't wait to try it. Ayumi, thank you so much for this tutorial. I made it last weekend and found the instructions and pictures were the best I have used in a long time! I will definately be making more as gifts for my friends and family. 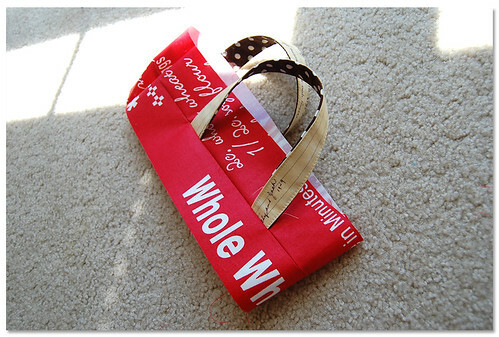 Thank you for the tutorial for this adorable lunch tote. I just made two for grand daughters. I added a pocket and insulated lining. They get them tomorrow and I hope they like them as much I do. I added my pics to Flickr. Thank you so much for this great tutorial. I have been looking for something like this for soooooo long. Have i said thank you yet?? i don´t know, but thank you!!!! i looove this bag. Thank you for this tutorial. 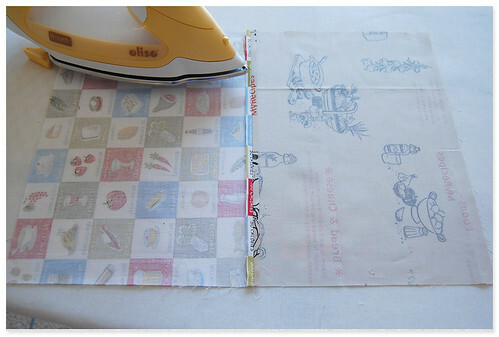 I've just made it, it's esay to sew, nice and very practical! I just used your tutorial to make a knitting bag for a Mother's Day present. The bag is so cute! Now I need to make one for myself. Thank you so much for the wonderful tutorial! This is a WONDERFUL tutorial! I don't make bags normally because I struggle with directions, but yours are fabulous! Instructions are very, very clear and the pictures make all the difference. I hope to upload a pic soon and will definitely sing your praises on my blog. Thank you! Better late than never joining this party. Thank you for very clear photos and directions. This was easy peasy to make. Thank you, Ayumi, with another wonderful tutorial. I made my bag this weekend and I absolutely love it. Thank you, this is just what i was looking for my lunch !! very clear instructions and many pictures so helpfull ! Thanks for the tutorial, I have done a few of them, I just posted a Tote that I made like this one. It is perfect, thanks again. My second bag with 'improvements'. Thanks for the pattern. Wow! I just found a bag on Pinterest on a ladies blog, she had used your tutorial and linked back to you. Thanks so much for the instructions!! I am definitely going to make this bag soon. I need something for my knitting needles. Just finished making this bag! It is sooo cute! Your instructions are fantastic and super easy to follow, Thank You! 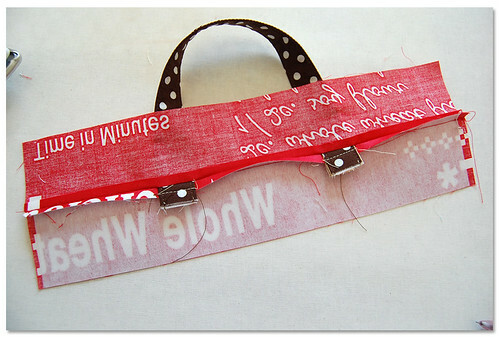 Thank you for a great tutorial on this supercute bag! I just finished this bag and I love it! Thank you so much for such flawless instructions! Your details were incredibly easy to follow! Where did you buy the calorie fabric please? Excellent tutorial! About the best I've ever seen. Thank you. Thank you for posting this wonderful tut! The bag is beautiful. 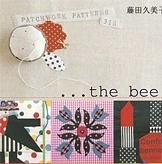 Thanks for this great pattern. It is very well thought out. I have already made two and I can see these as Christmas gifts for sure! Great tutorial and I have a new bag made following it. Thank you for sharing your knowledge. just made this. it's a really good size and i really like the drawstring part that provides the privacy, as you say. Great tutorial and great blog! Thanks for sharing such a great tutorial! I saw your bag on pinterest and followed it back here. Like too many things on Pinterest, it took multiple steps to find the original, but it's worth it! I love making bags to give as gifts, because who couldn't use a new bag?! :) They're great for all ages. 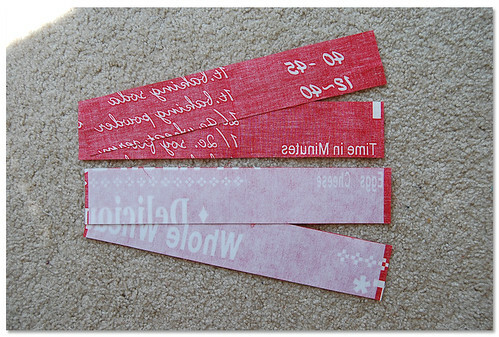 I really like that I can make this with a variety of fat quarters. Thank you, cute lunch bag and a great tutorial!!! Found your tutorial today. Thank you, it's pretty nice! I did do one adaptation to your pattern maybe worth mentioning... To avoid having the seams showing inside on the "hood" I cut four cover pieces instead of two. Sewed them first across the top seams and then while still laying flat doing the the sides (leaving a two inch opening at the top seam on each side). 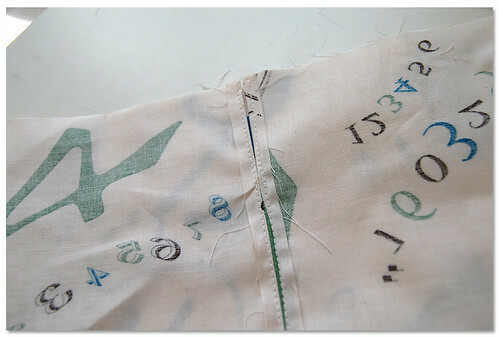 Then proceeded somewhat the same as you, pressing open the seams and stitching in place. Folding over the two layers back to back. A stitch very close to the top to hold in place and another under (the now one inch opening) all the way around (this becomes the place holder for the drawstring). 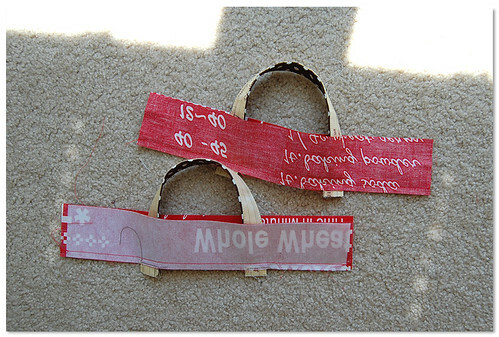 Now when I attached the flap there were no seams showing from around the ring of the flap or down the inside sides. =) Plus I used your idea of top stitching the final ring 1/4 inch in so you could see those loose edges! I hope i explained myself properly. But that is why you have the amazing blog and not I! =) Looks good! Thank you thank you! Thank you so much for sharing your adoption here, Stephanie! You are so clever!! Thank you, Ayumi, for such a great tutorial!!! I made 4 of these bags to give as gifts, the most recent, out of my daughter's school uniform pattern for a school fundraiser auction item!! It turned out so cute!! I will definitely send you pictures of my bags. They are so much fun to make!! Hi, I just love this bag. I have a shop on etsy and would love to add a few of these bags. I understand the 20 per month, and that's perfect. We make "one of a kind" creations and this can be in so many patterns. I have paid for the license and was wondering if it comes in the mail or emailed. I did purchase it on Sept 22, so I'm sure you haven't processed it yet. Wanted to make sure it didn't get lost in junk email if delivered that way. I do mostly floral creations but have added bags to the mix. They are such fun to make. Check out our shop www.theskrappery.etsy.com. Happy Creating. As long as you purchase the license, you are good to go and start selling your lunch bags! I am sorry for the confusion. I'll figure out if there is a way to send a message right away from Paypal now..! Cute bag. I would to sell them arts and crafts show during Christmas holidays do I still have to purchase the licenses? How much is the licenses? Hi Ayumills, how have you been. hope everything is ok. how much is the licenses? my email adressa is: fabiola@cargonave.com.br from Brazil . i did one and will send to you a photo as soon as possible. Smart!!!! I might make some for Christmas gifts for nieces. I am a complete novice when it comes to sewing but would really like to have a go at this cute little bag. 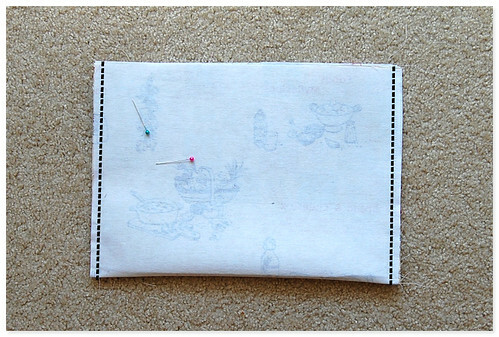 I understand most of the tutorial but can I just ask - at the step where it says 'place the lining inside the outer bag wrong sides together. Sew very close to top edge' how do you get the neat finish? 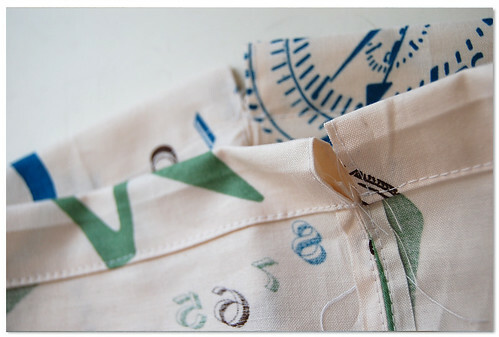 do you hem the edges before you sew them together? This probably sounds like a dumb question when you are such an expert sewer lol!! What a great concise and all inclusive tutorial--I had a blast making it -will post pictures. Thank You!! I made 12 of these to take to a handmade swap party, and they were the supreme hit of the night! Thank you so much for the easy tutorial. 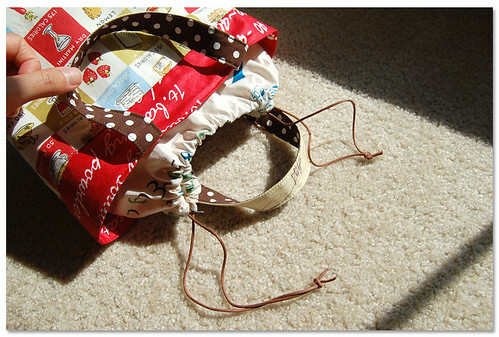 really easy to make and influenced fashionable bags really impressive.. Thanks for taking the moment to leave a comment ;) I always love hearing from you!